Two northern Idaho ski patrols have teamed up to put on their annual ski and snowboard swap in Coeur D’Alene. The volunteer ski patrols from [R215R, Lookout Pass] and [R363R, Silver Mountain] organize the swap to raise money to fund their winter programs. The 13th Annual Winter Swap takes place from 9 a.m. to 3 p.m., Saturday, Nov. 5 at the Kootenai County Fairgrounds. It is touted as North Idaho’s largest winter sports equipment swap. 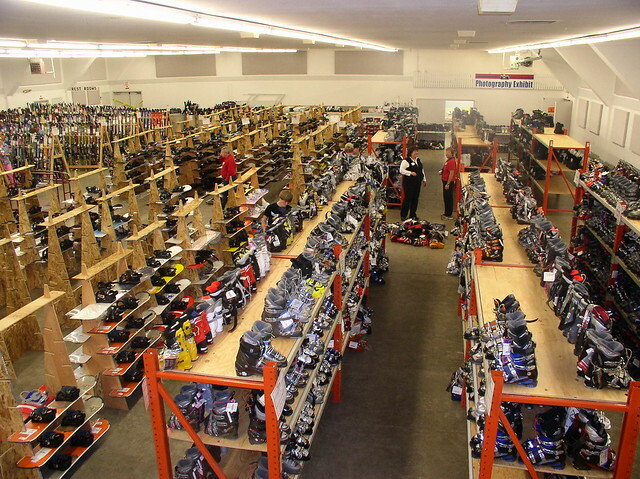 Local winter sports stores sell non-current clothing, and shoppers can find good deals on equipment, clothing, and accessories. Boots, skis, board, clothing and accessories are on sale at the swap. Photo Courtesy of the Winter Swap. The swap features alpine skiing, snowboarding, Nordic and telemark equipment. Plan to arrive early in the day to find the best selection as the swap usually attracts about 2,000 shoppers. The swap takes consignments to sell with the ski patrols keeping 20 percent of the price. Gear must be clean and in good condition. All ski bindings must be DIN approved. Consignment items need to be delivered to the fairgrounds between 3 and 8 p.m. on Nov. 4. Unsold items must be picked up from 9 a.m. to noon on Sunday, Nov. 6, or they will be donated. Several ski areas, including Lookout Pass and Silver Mountain, will have tables at the swap in the Vendor Fair Building. You can buy season passes and get pass pictures taken. Admission to the swap costs $5. Kids younger than 12 years old can enter for free. Funds raised from the Winter Swap go to support training for the Lookout Pass (shown here) and Silver Mountain patrols. Photo Courtesy of Lookout Pass Ski Patrol. Attending and buying goods at the Winter Swap provides funding for the volunteer ski patrols from Lookout Pass and Silver Mountain. Most of the funding goes to provide training. 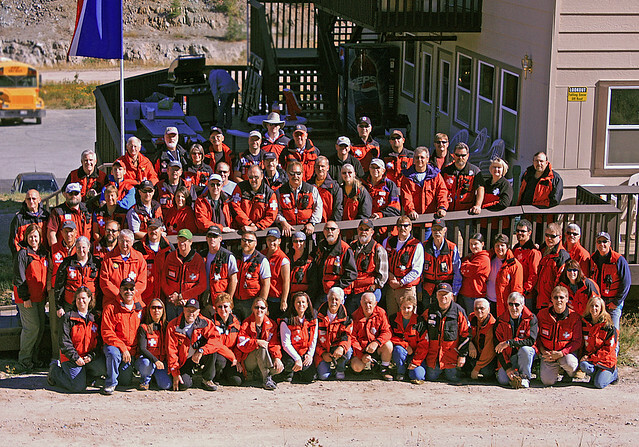 Both organizations are members of the National Ski Patrol, and their volunteers donate their time an average of one day a week throughout the ski season in addition to training days. For more details on the Winter Swap, click here.